City Council Meetings are held at 7:00 pm on the Second Tuesday of each Month at the City of Hewitt office. If you have an item for the Agenda please call the Clerk by the Thursday before the City Council Meeting. There is a $2 discount for seniors over 65 years of age. $2 blue garbage bags are available at the city office for trash that doesn't fit into the carts with the lid completely closed. A 35 gallon recycle cart is available to Hewitt Residents free of charge. Garbage is picked up every Tuesday morning. Recycling is picked up the third Monday of each month. 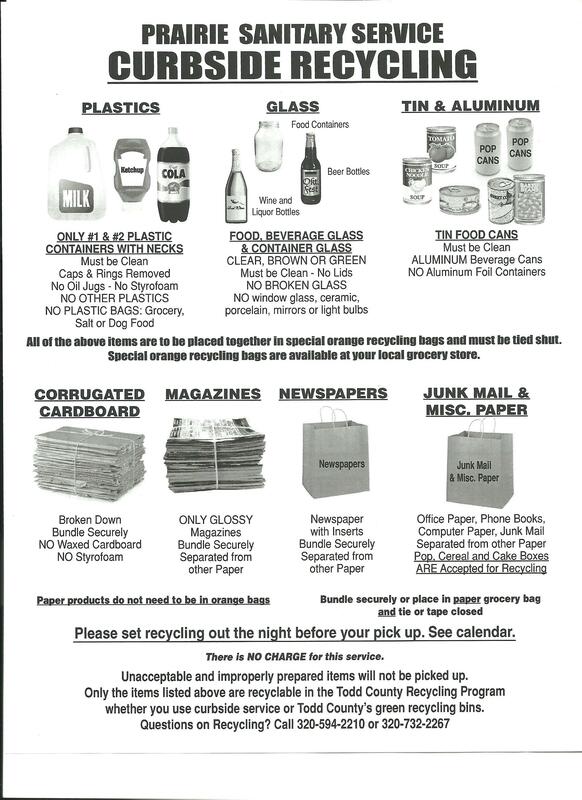 Here is a link to the instructions for the curbside recycling program. Click here to download the 2017 Consumer Confidence Report! Hewitt now has the fastest Wi-Fi internet "Hot Spot" in Todd County! This FREE service was made possible with a grant from Todd County Economic Development & The City of Hewitt; enjoy! IF YOU WOULD LIKE TO HELP THE CITY UPDATE IT’S ROUTER SO THAT THE INTERNET IS FASTER DURING PEAK USAGE HOURS…PLEASE CONTACT TARA AT 924-4343. You can download the application for the Hewitt Volunteer Fire Department here. We have recently added the entire city code (ordinances) to the ordinance page. Please click here or on the link above under City Government for the PDF! Does your pet have bling? Stop by the City Office to pick up your new 2018 Gold pet licenses! The cost is $15 for the first year with proof of vaccination and $5 every year after. Did you know that you can now pay your city water/sewer bills with a credit card? There is a $3 fee for the service. Visit the City Services section of this website to find a link to the UB Max website. There you will be able to see your account information and setup a payment account. Content copyright 2012-2018 . 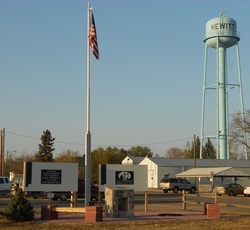 City of Hewitt. All rights reserved.